In conjunction with the 2-year anniversary show featuring Eric Chase, we are launching the brand new production and voice over contest! Voting is now closed!!! Name: Pascal Standaert!!!!! – First Place! A very short bio: I have been making, programming and imaging local radio since I was 12 years old (now I’m 41, go figure), now I think it’s time to move on into radio imaging full time, so I’m actually setting up an International Imaging service as we speak, called imagingdogs.com where we (my partner Lex and myself) create sweepers, promo’s, hitmixes and even sing jingles for an international customer base. We are making our dream come true : make a living by making noise ! I am the radio imaging producer of Monster Radio Davao. I do on-board shifts too in the morning and then do other tasks after that, phewww!! I attempted to leave radio to work for a non-radio industry in 2005 but then 4 months into the job, I resigned and came back. Been here ever since and I’ve been in radio for 8 years already. Soon, I want to retire as a radio personality and work “behind the scene” instead. I like obscurity.LOL. If time permits, I’d love to do imaging or voice for other stations not just here in the PHI but around the world. Where you currently Work: Independent. Phoenix FM, TD1 Radio, Real. A very short bio: I started working in radio when i was about 14 years old when i used to do shows on a charity run radio station. I also was a young drummer and percussionist and by the age of 20 had toured Europe with various bands and record labels but quickly got tired of the music industry. After this i concentrated in my job within the family business and pushed on with my club dj work and ended up playing in some of the biggest clubs and venues in the UK. In 2008 i got the chance to present and produce my own dance music radio show, this came at a good time for me as i had just started a family. I have recently won the contract to image the 12 hours of dance music for the whole station and a currently voice competition spots and commercials for a few small market stations here in the uk. Goals for the future would be to get some work for a decent sized station working within imaging production and branding, spend more time working on my own vo talent and just enjoying working within a great industry. 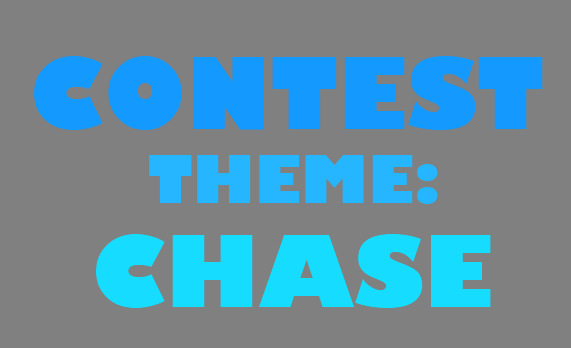 About your entry: My entry was R2D2 and C3po having a robot conversation about CHASE. C3PO comes out with all the pointless information, R2D2 makes fun of C3PO by playing sound bites of audio as jokes…. A very short bio: Operations manager for 5 stations and 4 formats. I do mostly commercial production but I dabble very occasionally in imaging and that production. About your entry: It was our Husker football promo for the South Dakota State game (a division 2 school) after a very convincing win against Washington. About your entry: First, I have to give credit to Doug de Nance! What an incredible voice talent. His read really made the entry what it was. I had a couple ideas about a “Chase” themed reality show – Doug and I brainstormed back and forth and finally landed on the idea of a “Survivor” theme. Thank you to everyone that voted for us! It really means a lot! A very short bio: Was born, grew up loving radio, became a mobile dj, became a radio dj, started making imaging and bits for my show, became better at doing that than being a radio dj. Been a full time producer the last 8 years. Love everything about radio and love producing, you give 10 people a dry liner to produce and you’ll get 10 different versions, there’s no right and no wrong, just maybe more popular or more current or topical. Jumped to protools 2 years ago, constantly building a library of content, recording shows, grabbing instrumentals and accapellas, movie sound tracks etc. produced a lot of packages for stations here in Ireland, Done a bit for US clients too as well as producing work parts/content for 2 different monthly imaging services, thats something I would love to do more of. Beatmixes a specialty… I think. car chase fx and explosions and finishing with music from transformers and a major explosion and a car crash, is he alive or dead, then you hear a faint heartbeat and then another and another finishing in style with Moby’s tune from the Borne Identity and end of transmission static beep type things. Alien Imaging – The entire catalog of sound design fx!! Big Fish Worldwide – Free Big fish Workparts Vol. 4! -Create, from scratch, a piece of audio production. -It simply has to deal with, in any way shape or form, “Chase” – Interperet that as you see fit. -You may enter by yourself or with a voice partner(s). -Said production piece must be 60-seconds in length. -Even though I anticipate a number of entries from outside the US it does need to be in English or primarily understood by English speaking folks. Sponsors/Prizes: Remember the prizes are awesome this year. RAP Mag Subscription. A free fx package from TM Studios, A free fx package from Big Fish Worldwide, free vocal training from VoiceHunter.com and part of the grand prize EVERY single Product offered by Alien Imaging! Voting: will take place via a third party platform on this site. It will be secure and fair, but if for any reason you are found to have cheated well, you are a bad person and you know where you are going. NOTE: For producers looking for a voice you might leave a comment below. Vice-Versa for Voice talent looking for a producer! I’m a producer and i need a voice for this contest. If you are or know someone how is interested ..
Pingback: Alien Imaging Sound Design » Win All Alien Imaging Libraries for FREE! Would love to work with a VO for this contest…hit me up and let’s win this motha.